Established by the Golden Triangle Business Improvement District (BID) in 2017, the Golden Triangle Charitable Corporation (GTCC) is a 501(c)(3) organization that helps to further develop projects that enhance and strengthen the greater downtown area of the nation’s capital. GTCC will spearhead and support initiatives that will positively impact the nation’s capital by providing educational programs and community services that enhance and enliven the city in valuable ways. In particular, we will seek to improve and expand opportunities in the areas of homeless services, sustainability, safety and security, and placemaking, including public art. Make a Difference with GTCC! We are excited to partner with companies, philanthropic organizations, and individuals to help support the important and innovative programs GTCC develops and executes. For more information about GTCC, our projects, and how you can become involved, please contact Abbe Kaufmann at akaufmann@goldentriangledc.com or by phone at 202-463-3400. Many of the city’s chronically homeless individuals are found in the greater downtown area. Along with the city, the Golden Triangle offers a range of homeless services, with the ultimate goal of transitioning individuals into permanent housing, wherever possible. Additional resources are needed to fully address the needs of this most vulnerable population. To augment the city’s and BID’s ongoing programs that work to reduce homelessness, GTCC will identify and seek support for new service-delivery mechanisms and assets, including important on-street services. The Golden Triangle focuses strongly on initiatives that enhance the environment and promote sustainability. One of the Golden Triangle’s signature projects was the construction of four rain gardens on the corners of 19th and L Streets in 2014. Each of these rain gardens, which also feature beautiful sculptures that were commissioned by the BID, helps to collect, filter and retain storm water runoff in self-sustaining green spaces. Plans are ongoing for significant expansion, to include multiple rain gardens along 19th Street, from K to M Street. 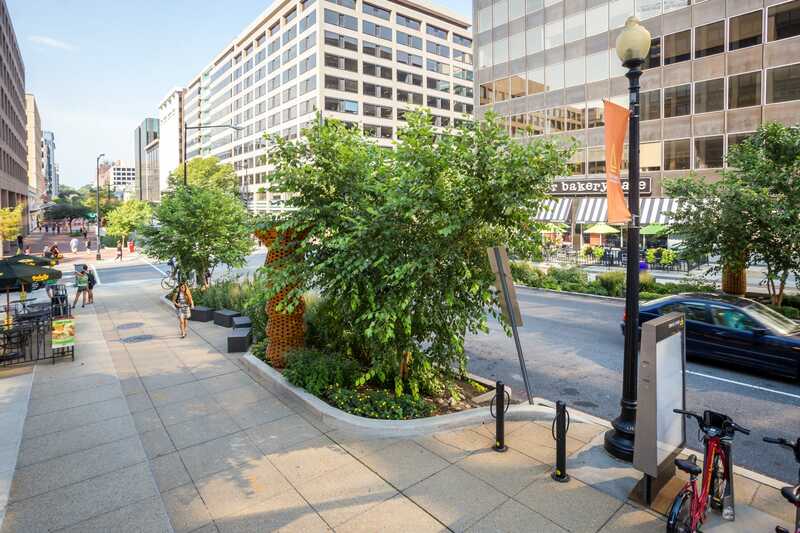 This is the first multi-block green infrastructure initiative by a business improvement district in the nation’s capital. GTCC and the Golden Triangle BID are collectively soliciting financial support to fund this initiative. The Golden Triangle has proudly earned a national reputation as a model among downtown business districts for the innovation of its safety, security and emergency preparedness program. 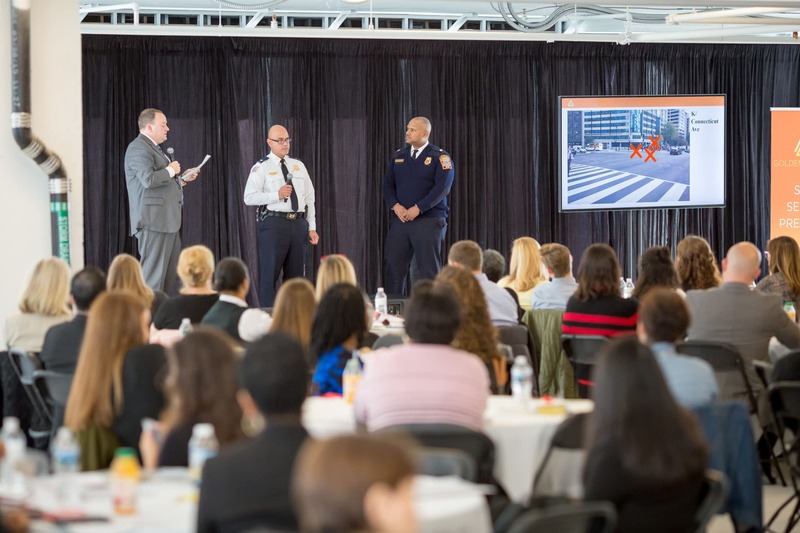 Having been honored by FEMA and the International Downtown Association, the BID’s emergency preparedness program is one of a very few in the country geared to educating the region’s professional public on emergency response and recovery. GTCC looks to expand on these efforts by addressing growing funding, training, and related security needs, in conjunction with local and Federal law enforcement agencies. One of the most important ways the Golden Triangle contributes to the vitality of the central business district is by focusing on placemaking initiatives that help to activate the area, through such efforts as events and other programming, creative use of public space, and the installation of public art. GTCC seeks to supplement these efforts by enlisting private sector support for additional public art projects and public space improvements. 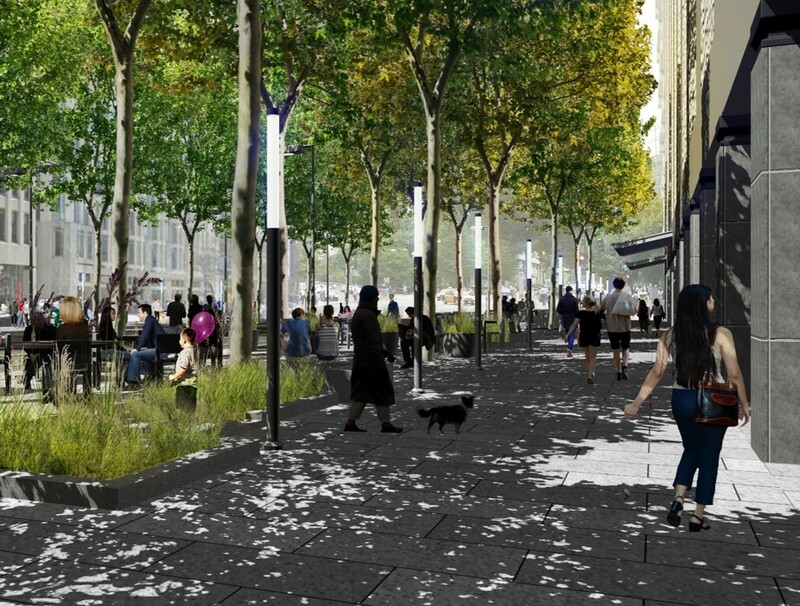 The planned redesign of Pennsylvania Avenue west of the White House is a truly visionary project and one which the Golden Triangle has been proud to advance, working in close collaboration with the District of Columbia. 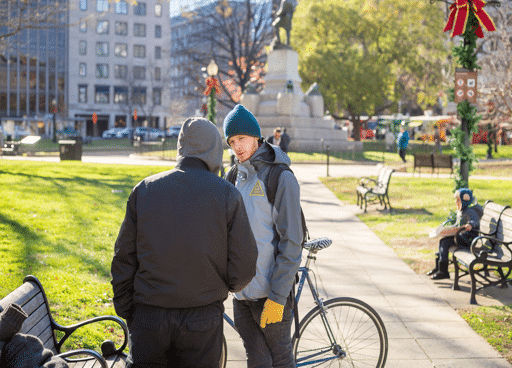 While Pennsylvania Avenue east of the White House embodies the national role of Washington, D.C., Penn West has the potential to become a global destination highlighting the international status of the nation’s capital. We strongly believe that Penn West — with the presence of the World Bank, the International Monetary Fund, embassies and cultural organizations — should be the city’s hub of global activity and cultural celebration, and the model for urban sustainability and innovation. The Penn West project is currently in its design phase and will require significant funding in order to move forward to construction with the development of a revitalized Penn West. In addition to the capital project, the Golden Triangle BID and GTCC will also be seeking partners among Embassies and other cultural organizations to help program activities and bring art to best fit the international nature of the street. Over the years, the Golden Triangle has worked collaboratively with city agencies and artists to commission and install a wide array of permanent and temporary pieces of art for the public to enjoy. 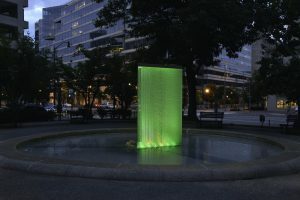 Golden Triangle projects have included art installations at both Murrow and Monroe Park, at the Farragut North Metro Station, and on the four corners of 19th and L Streets. In a first-of-its kind collaboration, the Golden Triangle is partnering in 2018 with the Smithsonian American Art Museum’s Renwick Gallery bringing the legendary art of Burning Man to the streets of D.C. The project marks the first time any Renwick exhibition has included an outdoor extension. No Spectators: Beyond the Renwick features the installation of six spectacular, large-scale artworks on display throughout the neighborhood from March to December 2018. 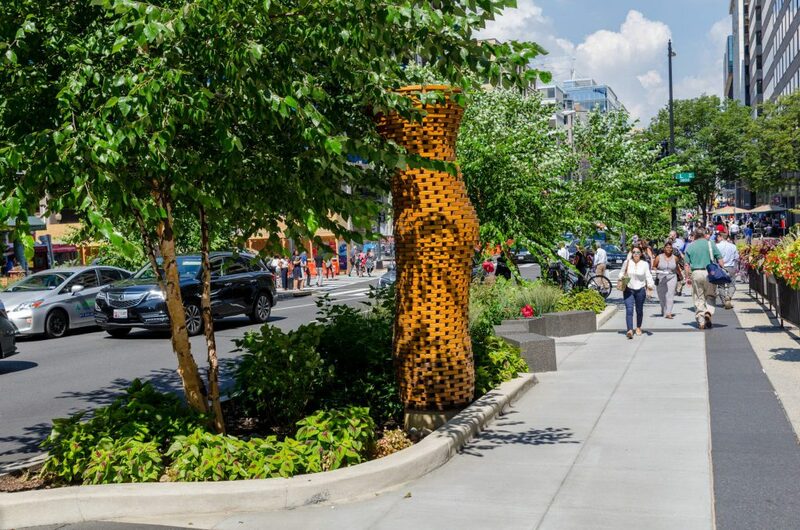 GTCC plans to build on the success of this groundbreaking partnership by seeking additional opportunities for enriching public spaces with spectacular art at highly visible locations, such as in the Connecticut Avenue median at K Street, near Farragut Square. For more information about the Golden Triangle Charitable Corporation contact us by phone at 202-463-3400.